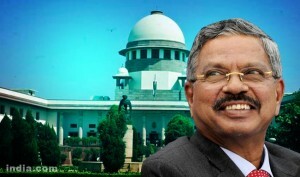 Dr. K. Shivaram, Senior Advocate, points out that while Courts are dutifully issuing directions and strictures with the sincere objective of putting the income-tax department on the right path, there is no feedback from the department as to whether these directions and strictures are being implemented by them. He submits that the Bar is under the bounden duty to be vigilant and play a proactive role to ensure that the department abides by its obligations and is made accountable for its misdeeds. 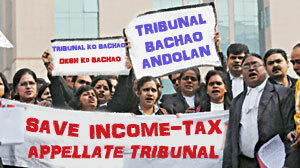 In public interest, time and again, High Courts have passed strictures against tax administration for failure to follow the due process of law in the course of assessment, recovery and quasi judicial-If directions of High Court are followed, it may be communicated by press release or by a circular – If not, then what remedial action has been taken? In a landmark judgment, the Supreme Court has declared the National Judicial Appointments Commission (NJAC) unconstitutional. The collegium system where judges appoint judges, will continue, as according to the Supreme Court the NJAC Act interfered with the independence of judiciary. In recent days, some assessees have received the show cause notices for launching of the prosecution as soon as the penalty is confirmed by the Tribunal. With respect, mere confirmation of penalty by the Tribunal cannot be a ground to initiate prosecution proceedings. Assessee may otherwise be filing returns regularly and paying the taxes and only in one year, unable to substantiate the claim of deduction. Can such an assessee be considered as tax evader? All tax professionals highly appreciate the appointment of 45 new members to the ITAT. As on date, there are more than 1 lakh appeals pending before the ITAT. Filling up of these vacancies will help certainly the case of ‘satvarnyay’ before the ITAT. One would appreciate that the ITAT has a sanctioned strength of 63 Benches at 27 different locations in our country. To ensure better administration, it is divided into nine zones and each zone is headed by a Vice–President and as per administrative orders, the ITAT should have one Senior Vice-President and 9 Vice-Presidents. However, the Government has not appointed any Vice-President since 2009 and Senior Vice-President since 2010. As a result, now, the ITAT has only four Vice-Presidents and out of them one is due to retire in coming October, 2015. Thus, this scenario is quite disturbing for the administration of justice, requiring very prompt action by the Hon’ble Law Minister. The Income-tax Appellate Tribunal which is considered as mother Tribunal of all Tribunals which was established on 25th January, 1941 will be celebrating its 75th year on 26th January 2016. An honest attempt should be made by the Bar and the Bench to retain its glory as one of the finest Institution of Our Country. 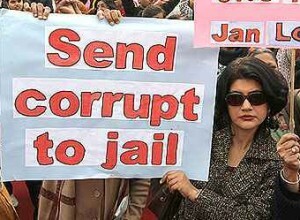 Dear NAMO Sir, Thanks For Acche Din But What About Corruption In I. T. Dept? The author, an eminent Senior Advocate and champion of judicial independence points out that what was in the realm of a dream till now, namely, the constitution of regional Supreme Court Benches, may soon become reality. 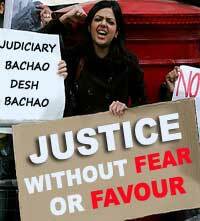 The Hon’ble Chief Justice of India, Mr. H.L. 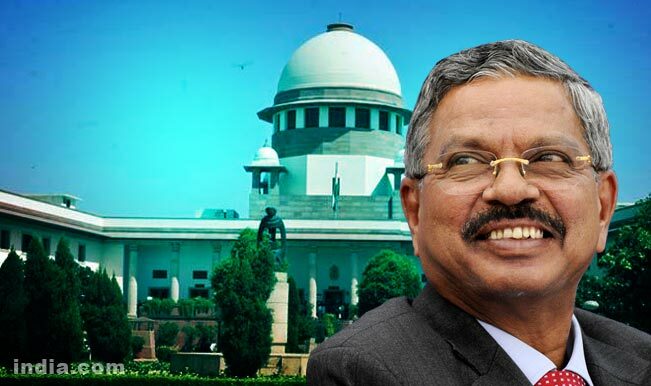 Dattu, has clearly indicated that he is in favour of such regional Benches. The Hon’ble Prime Minister’s Vision of “Digital India” may help lawyers at remote places to argue matters before Supreme Court Judges sitting in Delhi or before the regional Benches. Can A Litigant Be Allowed To Have A Say In The Appointment Of A Judge? 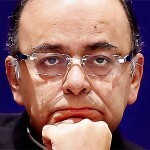 The author, an eminent Sr. Advocate and a champion of judicial integrity and independence, expresses grave apprehension that the National Judicial Appointments Commission Bill, 2014, which seeks to replace the present Collegium system of appointment of Judges by a Committee, comprised partly of politicians, will severely hamper the independence of the Judiciary. He reminds us that the Government is the biggest litigant in the Country and warns that Judges may feel apprehensive of taking bold decisions against the Government in the fear that their chances of promotion to the higher Court would be jeopardized. The author also argues that the present Collegium system is working well and the few defects in it can be rectified. He offers practical suggestions on how this can be done. One of the objects of the All India Federation of Tax Practitioners (the Federation) is “To strive and work for independence of Honourable Courts–“. 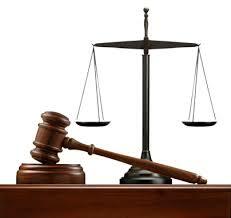 The Tax Bar has always played a paramount role in warding off threats to the independence of the Judiciary. 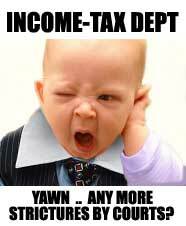 It was due to the labours of the Tax Bar that the independence of the Income-tax Appellate Tribunal (ITAT) could be preserved [Ajay Gandhi v. B.Singh (2004) 265 ITR 451(SC), ITAT v.V.K.Agarwal (1999) 235 ITR 175 (SC)].